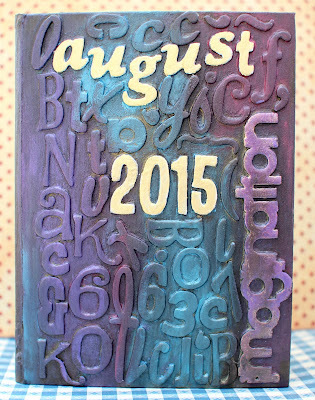 Hi guys, this coming week, I'll be sharing my August 2015 art journal. I completed all the layouts this month, so the title for the journal was a no-brainer :) There are 14 two-page spreads in the journal, so I will post 2 a day. So I hope you stop by this week to check out the inside of the album! I used an old "Storybook" by Fancy Pants. I tore out a few pages and glued some together so it wouldn't get too bulky since the spine was designed for something small and flat. To create the cover, I dug up some old Thickers that had fallen off the sheets and were waiting to be trashed, and tore off the sticky backs (since they had gotten dusty and dirty). I glued the thickers down with gel medium and then gave the whole cover a couple coats of gesso. I then prayed it with BoBunny gold and bronze mists and a couple other colors, and then went over it with metallic gelatos. To make the title stand out, I painted the word "August" and the date "2015" with gesso again, and then painted over that with gold paint. I also added an old Maya Road chipboard word "imagination" and painted that with some gelatos just on top, so it would stand out a little bit from the rest of the cover (but not as much as the main title). 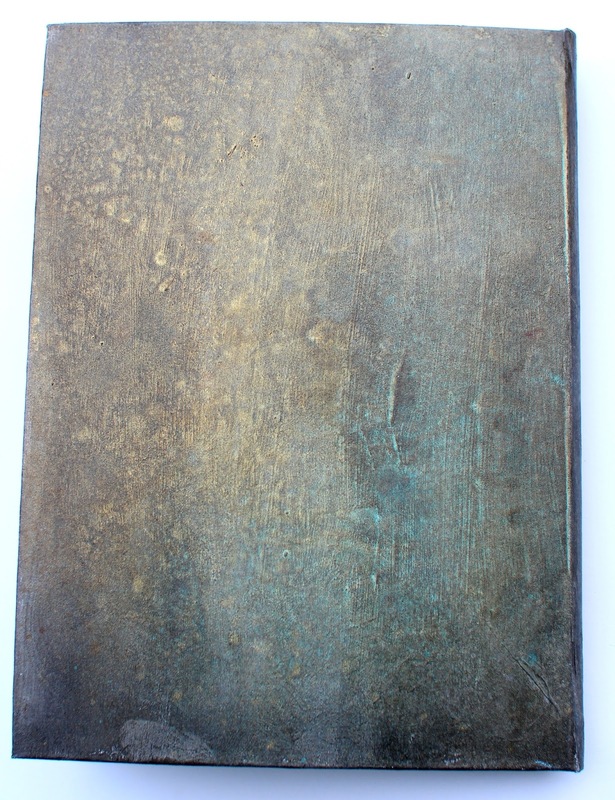 And here's the back of the album - it's hard to catch on camera how beautiful the gold and bronze really look. There's some shimmery blue there as well. Looking forward to taking a peek inside. Your cover looks wonderful - great idea to use older thickers! Love the colors. Brilliant creating! Love the use of the alphas! Great cover fab way to use up random letters you cant make a word with! love the colours!